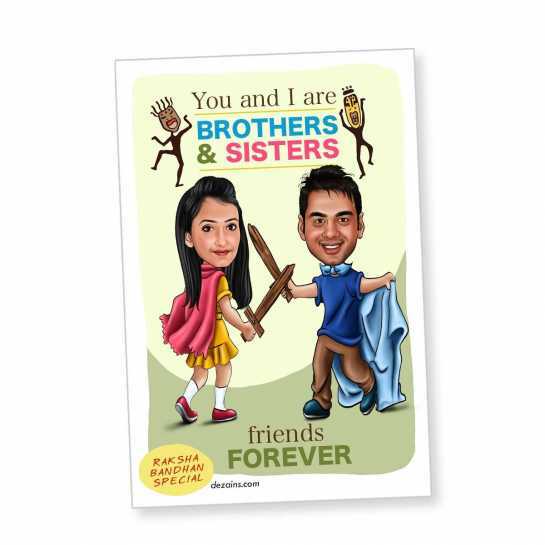 Get your own hand drawn caricature chumbak done here just like this one. Its a picture which shows brother and sister enjoying their small fights and sharing friendship bond. Its made by our professional artists.